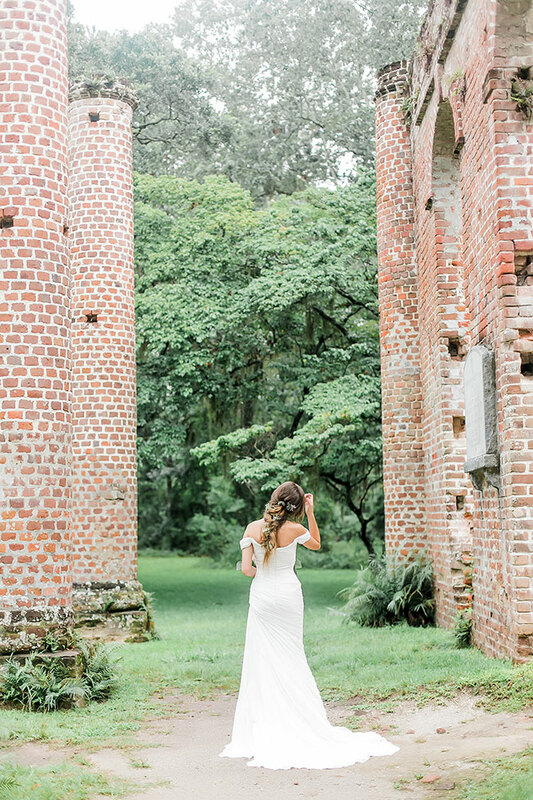 Whenever I travel there is a particular place I seek out to visit if they exist in the area, ruins. 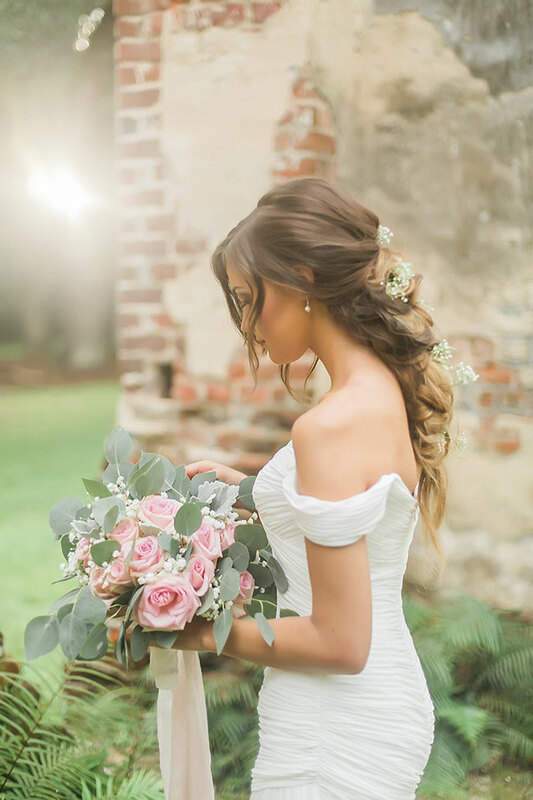 There is something so incredibly enchanting about them. 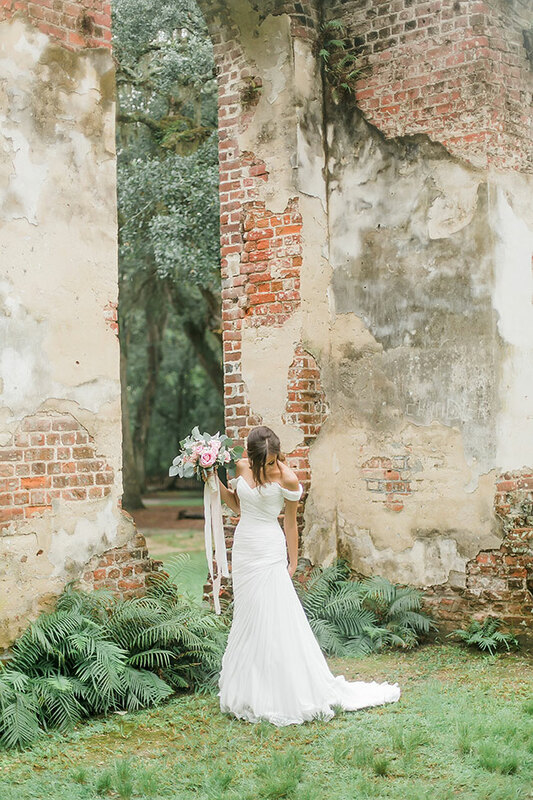 The mix of man made structure, left undone, overtaken by nature. 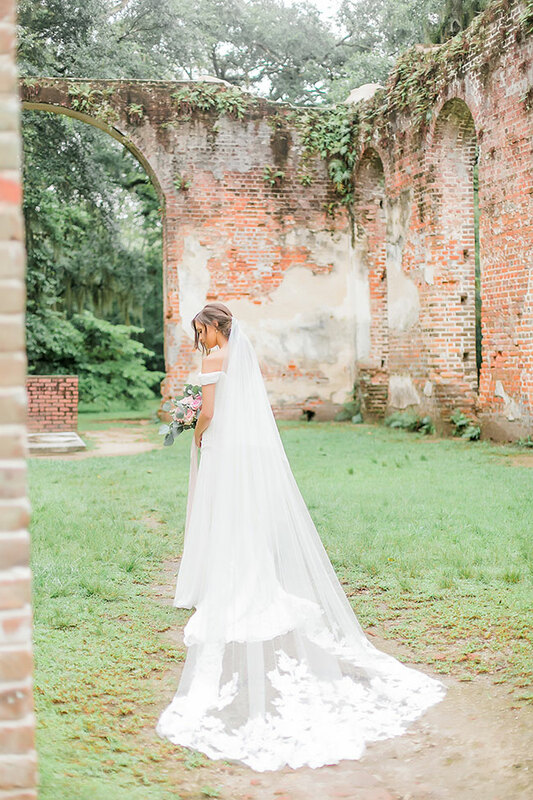 Over-sized windows that now serve as doorways, a preview into the next landscape that lays just around the corner. 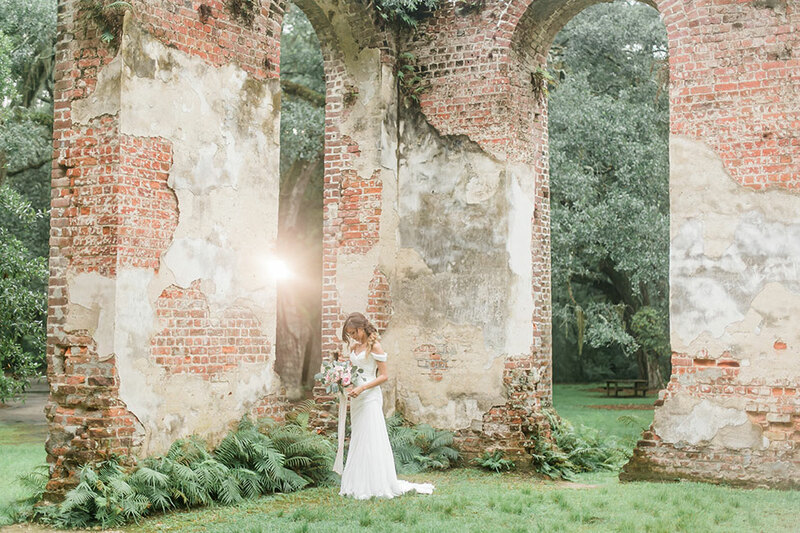 I have long since been infatuated with the idea of a ruins wedding. 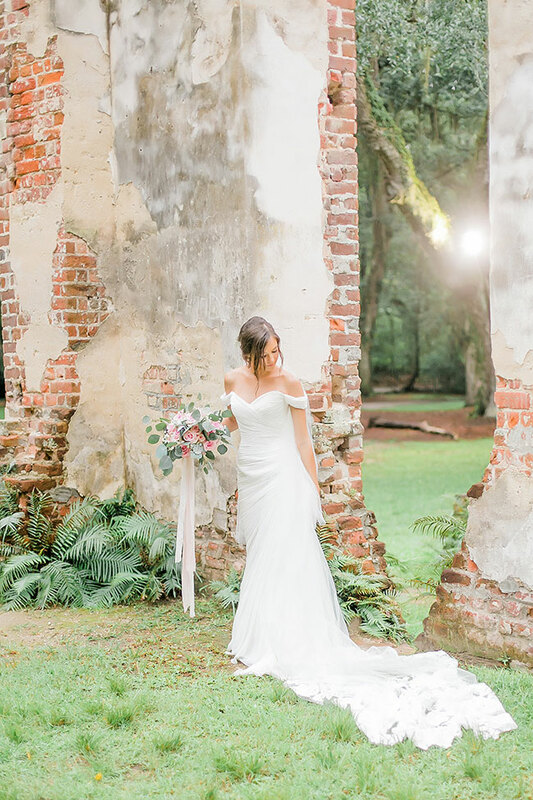 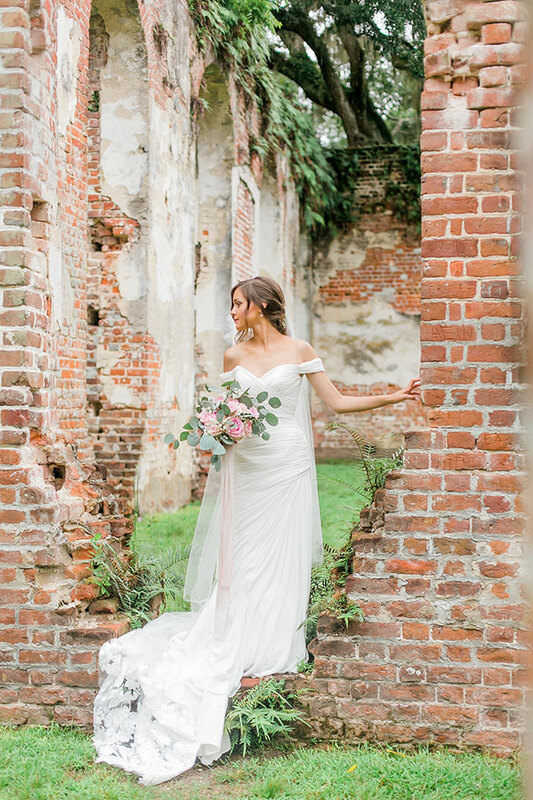 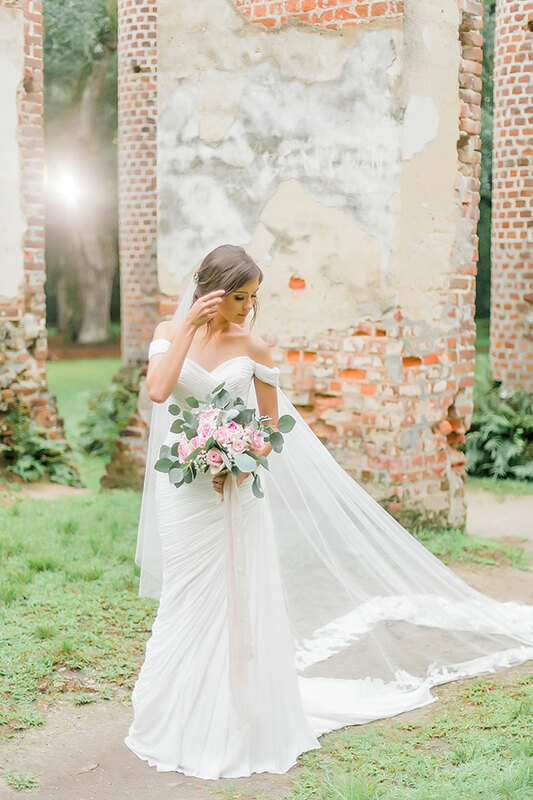 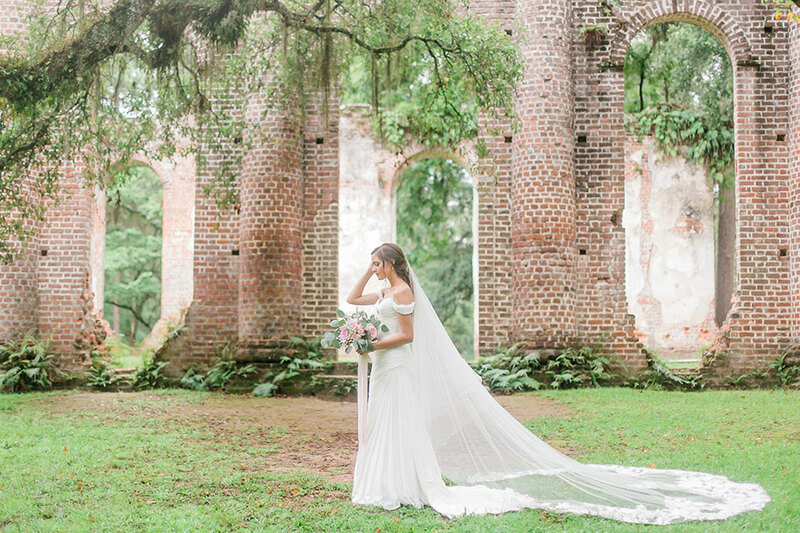 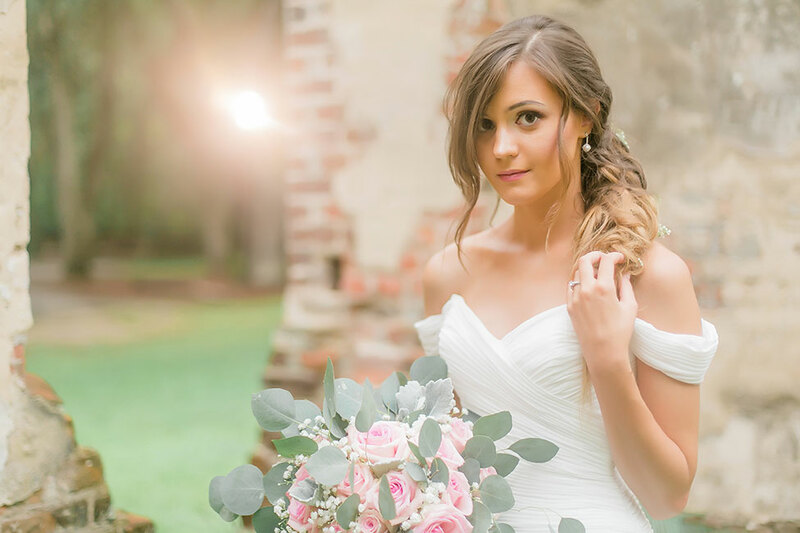 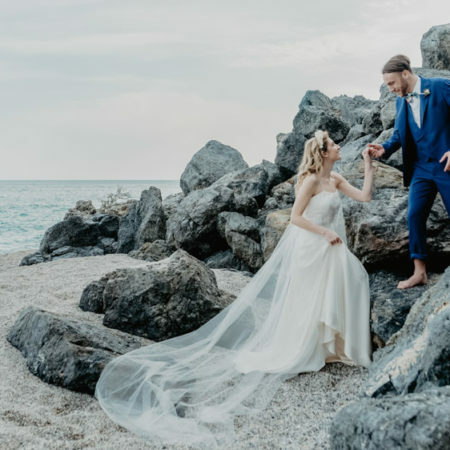 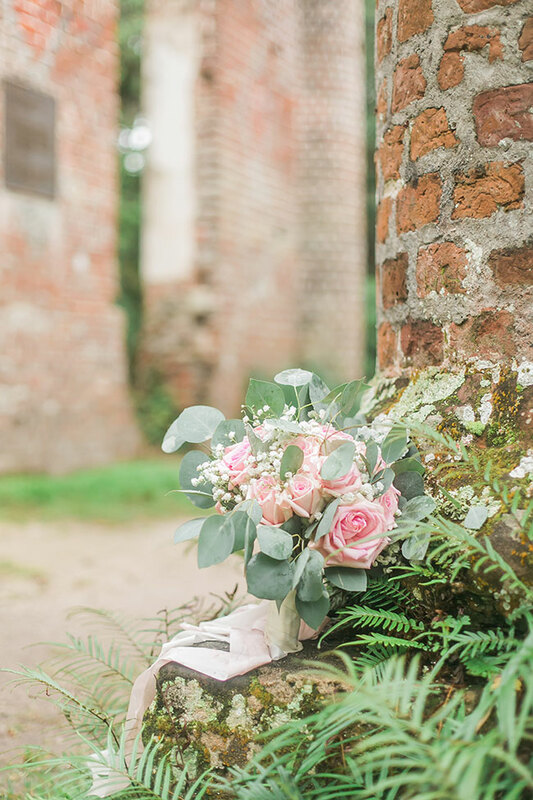 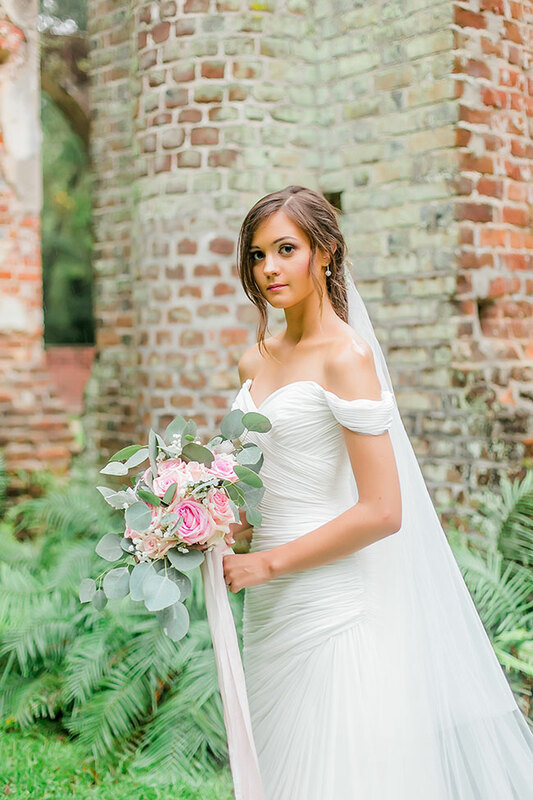 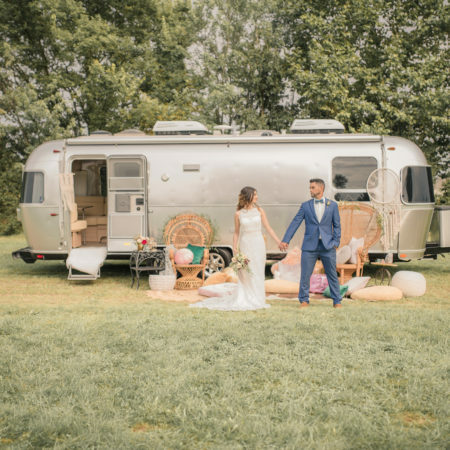 When real bride Lexi, along with wedding photographer Casey Hendrickson Photography, set off for her portrait session, they headed to the dreamy North Carolina hideaway of Old Sheldon Church Ruins. 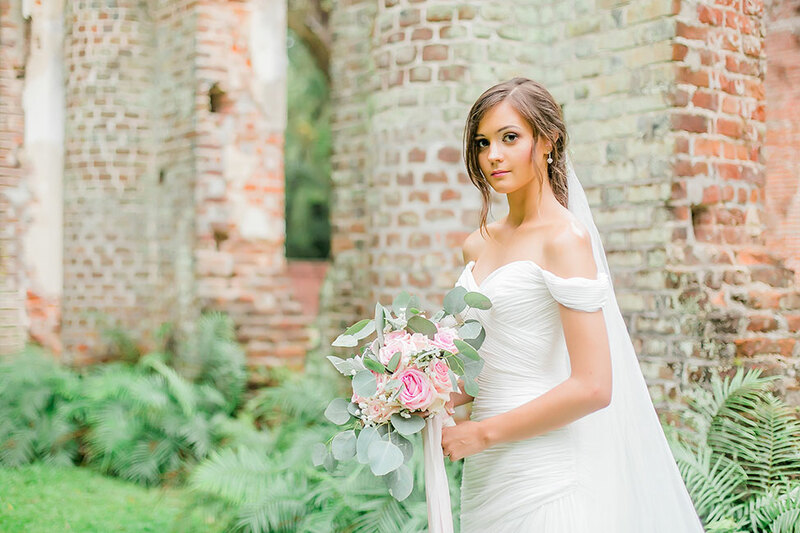 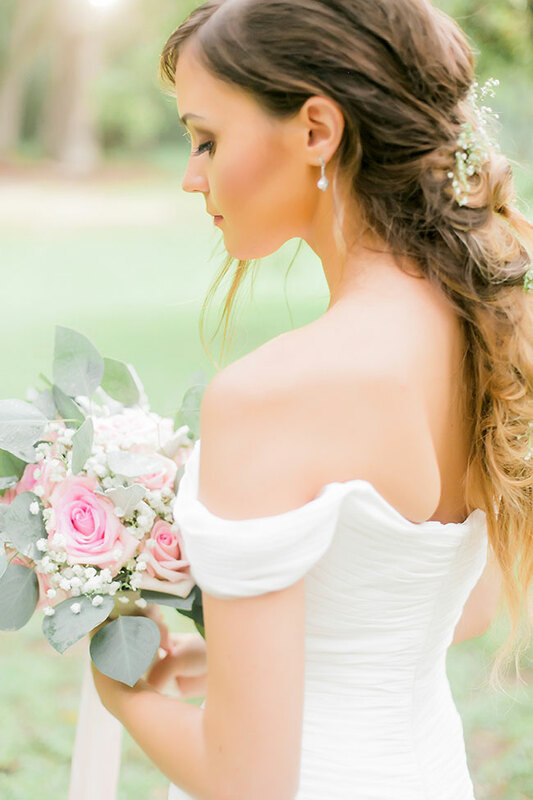 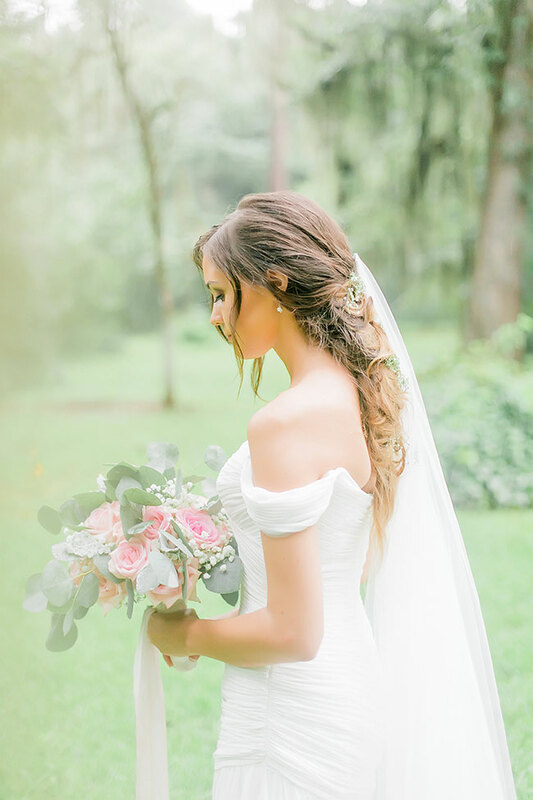 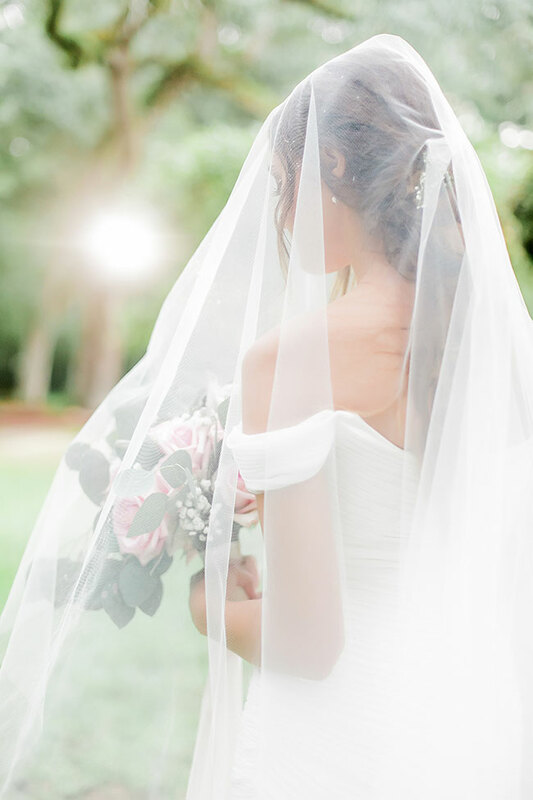 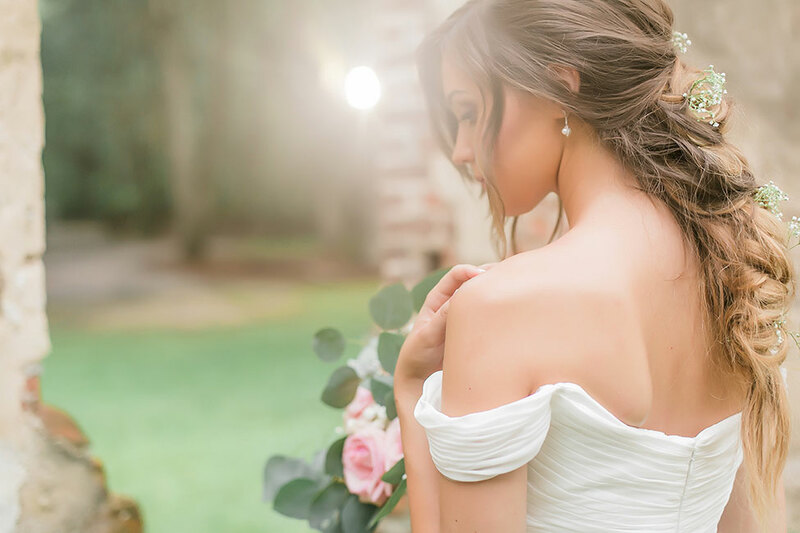 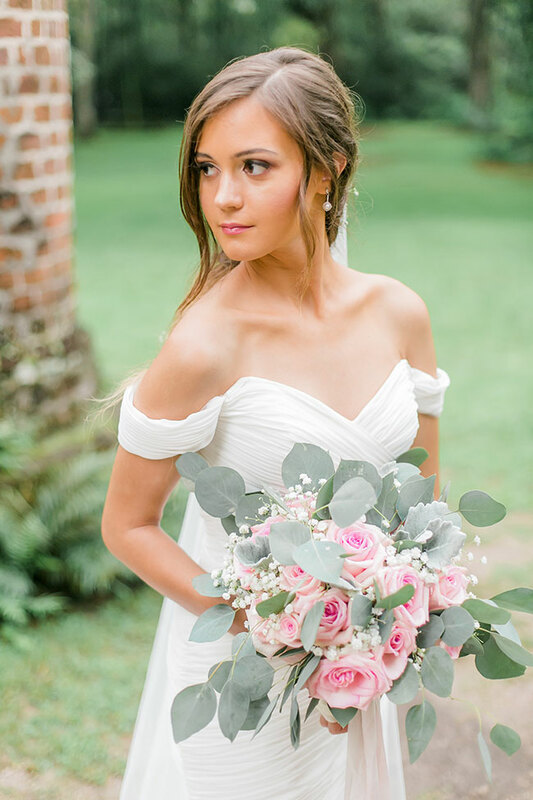 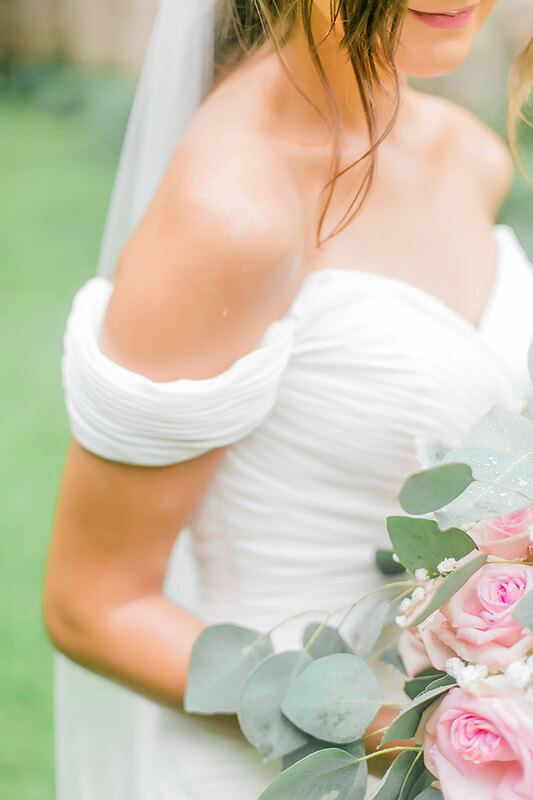 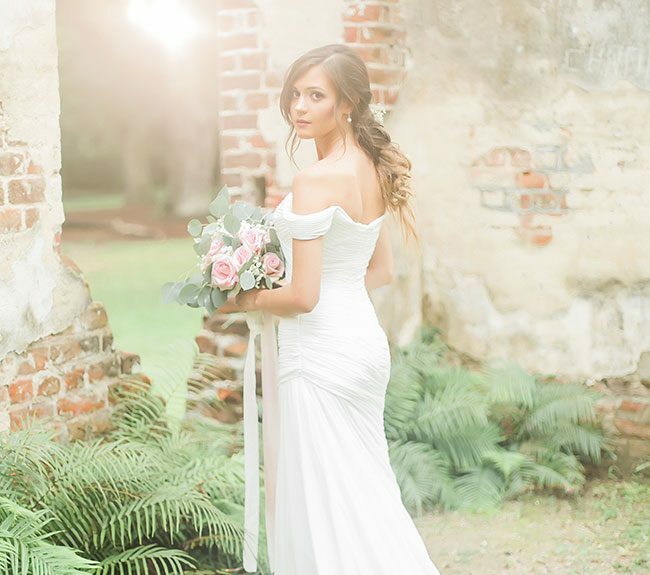 Dripping in southern bride elegance, Lexi’s look is one that is perfectly on trend. 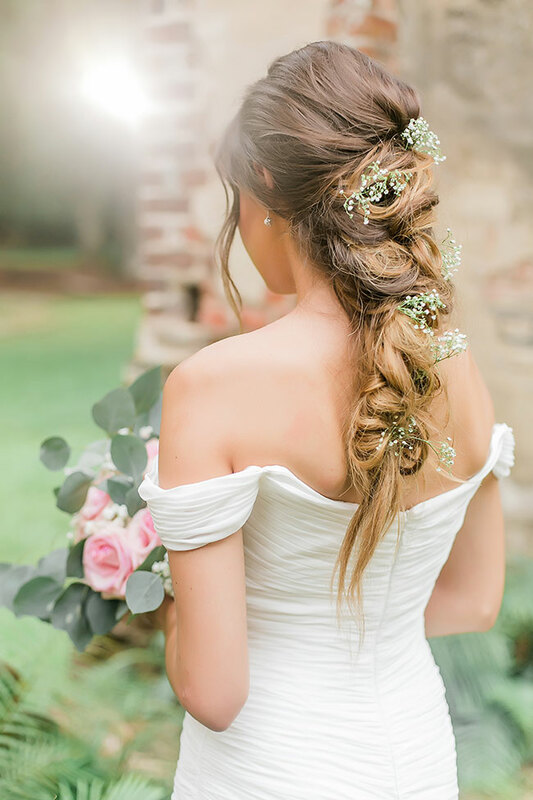 From a draped & cinched silhouette wedding dress, to the pulled apart braid wrapped around her neck, dotted with baby’s breath. 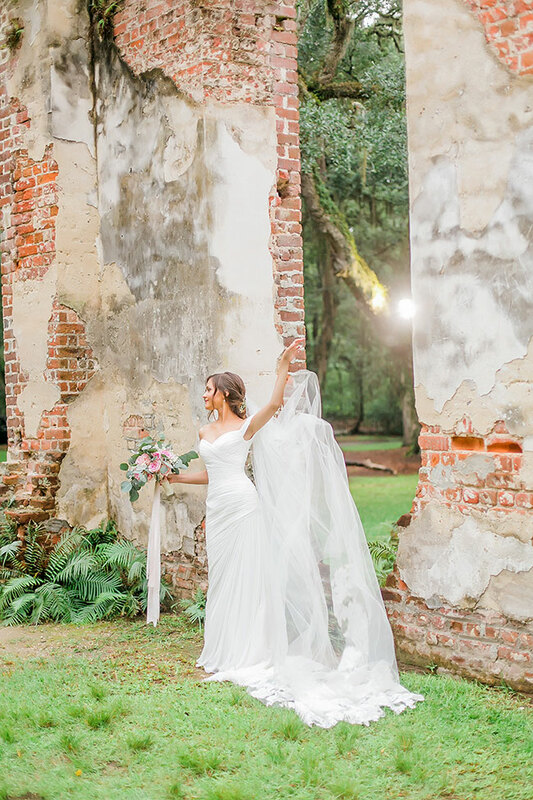 The duo took over the ruins around golden hour only to be meet with severe thunderstorms & the threat of tornado. 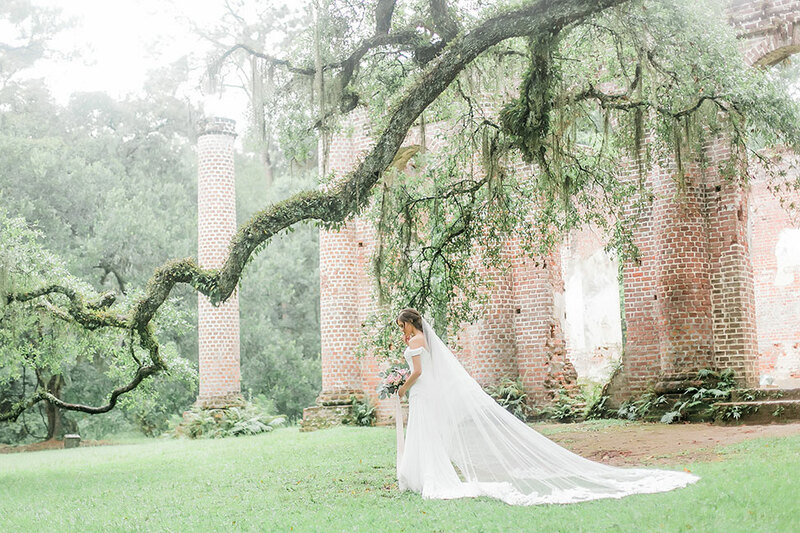 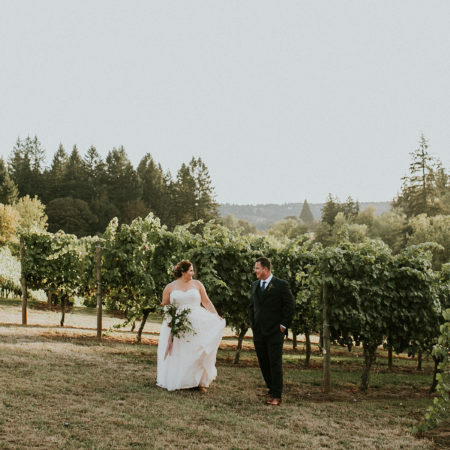 Not ones to back down easily, they instead yielded the inclement weather into artistry, resulting in a wonderfully romantic ruins wedding dream.